The April 24, 2017 release of CloudPassage® Halo® includes the availability of new Linux and Windows agents, automated issue resolution, SAM scans for Windows, multiple enhancements to the Accounts view and SAM scan findings views, significant updates to the Halo REST API, and much more. 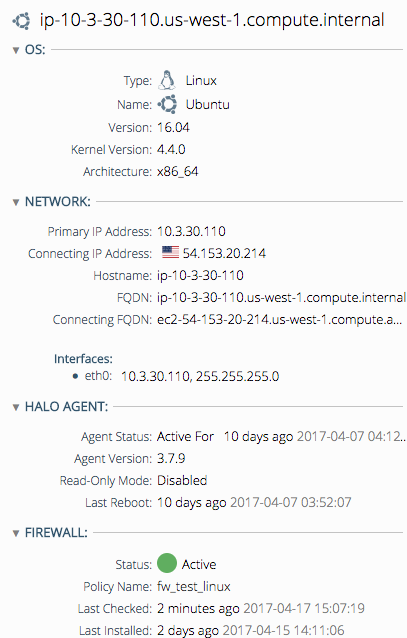 When a Halo user who wishes to use the new Halo UI logs directly into the Halo portal, the URL for that access has until recently been HTTPS://portal.cloudpassage.com/login?halo2=1. Now, however, the new UI is the only available user interface, so the URL extension is no longer necessary. The new URL is simply HTTPS://portal.cloudpassage.com/login. Note: The old URL and SSO integrations using that URL will continue to work. The character "$" is now accepted as valid in a Halo password. This release implements a context menu in the group tree, as well as the following views: Issues, Servers, Alerts, Policies, and Policy Templates. The context menu is a shortcut to the most common actions associated with the item you clicked. 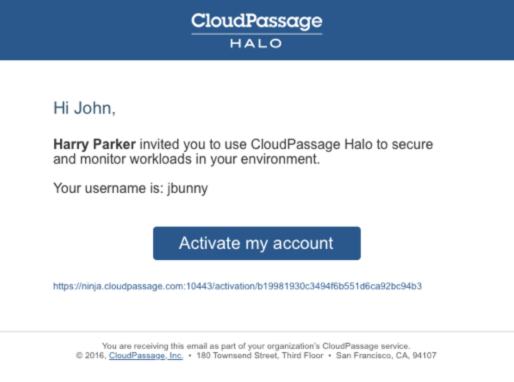 As of this release, several standard email messages from CloudPassage to Halo customers have been updated to use the new Halo logo and to improve the wording of the message. This release enables users to select any world time zone in the My Account screen. To do so, open My Account from the main menu. 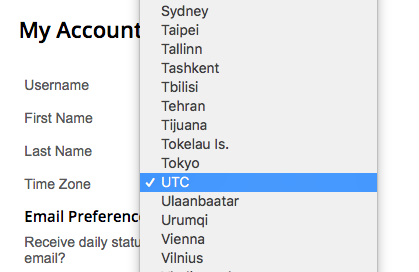 Click the Time Zone drop-down menu, select the time zone that you want to apply to your account, and then click Save. Once the time zone is set, the timestamps in Halo will reflect the user's local time. For those customers who are using Halo on a trial basis, a notification now appears to indicate the number of days remaining in the evaluation period. A task indicator has been implemented for long-running tasks, such as exports. While the task is running, a square indicator appears at the top of the portal. You can hover over it to view what task is running and its progress. The logic that defines when an issue automatically resolves has been improved to ensure that no orphaned issues remain once the problem has been remediated and the server has been rescanned. When an issue is resolved automatically, the reason is recorded and an event is generated for audit purposes (see "New 'issue resolved' event" below). Note: Automatic issue resolution does not remediate the underlying security problem that created the issue. It simply marks the issue as "resolved" in Halo. For detailed information about what issues are resolved and exceptions, see Resolving Issues in the Halo Operations Guide. The dialog that appears when a user manually resolves an issue has been updated to more clearly explain issue resolution and enable the user to add a comment. When an issue is resolved manually, the user and reason is recorded and an event is generated for auditing purposes. A new "Issue resolved" event (API name = issue_resolved) was created to support the improvements made to issue resolution. This event is generated in two ways: (1) When a user manually resolves the issue, and (2) when the system automatically resolves the issue when its server is retired. Since deleting servers removes a server—along with all of its data—from the Halo portal and prevents the agent from reconnecting, we recommend that users retire servers so that data can be retained. To support this recommendation, the Delete Servers dialog has been improved to clarify the difference between deleting and retiring servers, as well as to add an option to retire servers instead. For more information about retiring and deleting servers, see Managing Servers in the Halo Operations Guide. The dialog box that appears when a server is retired has been updated to include more information about what happens when a server is retired. Previously, there was not a text heading in the OS column in the Servers view. In this release, a heading has been added. 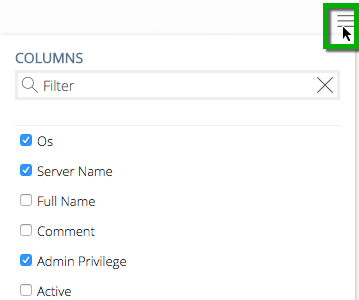 Several enhancements were made to the server profile to enhance clarity and remove duplication; for example, the Firewall status duplication was removed and clicking the header text of each section expands and collapses that section. Obtain local user account and group inventory. 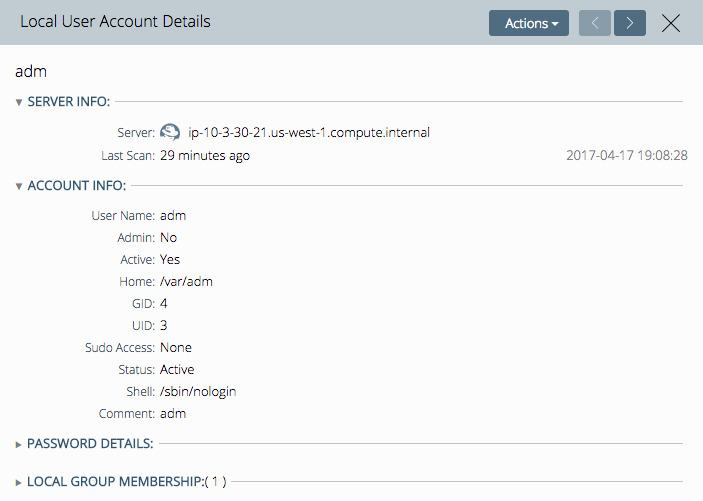 Identify accounts that are members of the administrator group. View historical SAM scans for both Linux and Windows servers. Search across workloads for accounts that match certain criteria, such as administrative access, last log in date, and accounts that are "locked" for reasons such as password failure. The remainder of this section details the release items that support these enhancements. Note: The new Windows SAM features require the latest Windows agent. See the Halo Agent section in this release notes. This release implements the ability to view scan results in the new Halo interface. To do so, click the Scans view button, then click a SAM scan by clicking its link. Note: Clicking the server name opens the server-level Scans view. Click elsewhere in the row to go directly to the scan results. The SAM scan opens and displays a scan profile on the left and information about Local User Accounts and Local User Groups on the right, separated into two subtabs. To view more detail about any of these accounts or groups, click it to open a sidebar. 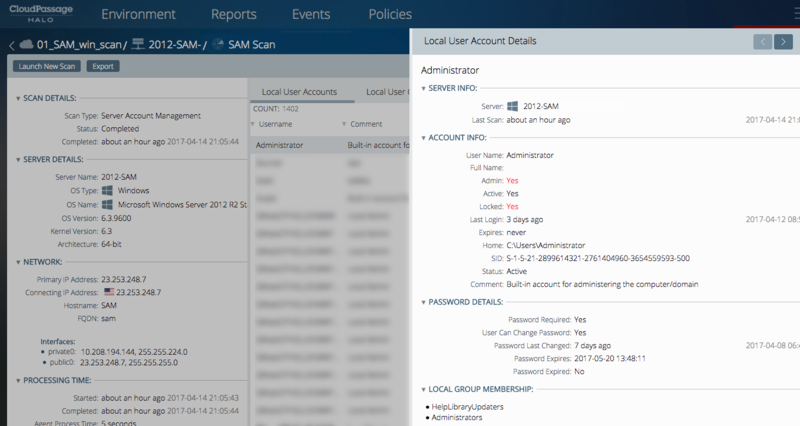 For more information about SAM scans and server accounts, see the Server Account Management module guide. This release enables users to export an historical SAM scan to PDF. To do so, open a SAM scan and click Export. 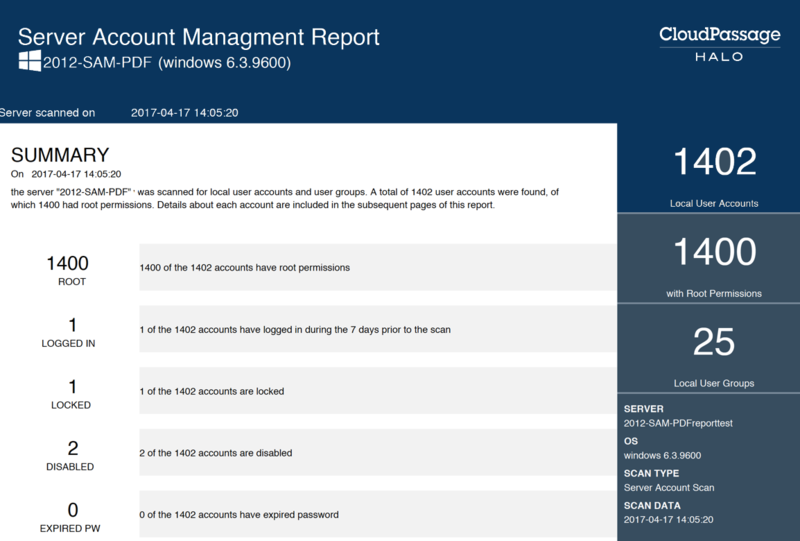 A summary page with information about accounts, such as how many have root permissions, the number of accounts that have logged in, the number of accounts that are disabled, and more. Detailed pages about the local user accounts. Detailed pages about the local user groups. User-account-related Site Administration settings (such as SAM scan frequency) now apply to Windows servers as well as to Linux servers. This release implements several changes to both the server and group-level Accounts views. The following list explains just a few of these changes; the remainder of the changes are explained in the subsections that follow. The view is now separated into two subtabs, which enable users to view by Local User Accounts or Local User Groups. The data provided at the group level displays summarized account information for the selected group. The data provided at the server level displays account information from the server's latest SAM scan. 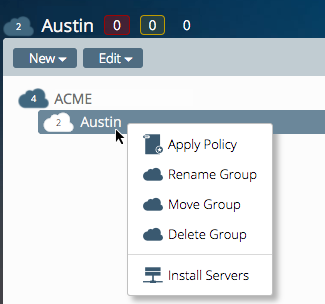 This release enables users to filter both the group and server-level Accounts view. For information about filtering or for a complete list of the attributes you can use to filter accounts, see Filtering Views in the Halo Operations Guide. You can now select the columns that you want to see in the Accounts view. To select the columns, click the icon on the right side of the view and select the columns you want to see from the list. Note: Any columns you select will persist until you select different columns. Users can now launch a new SAM scan from within the Scans view. To do so, open a scan in the Scans view. In the profile area, click Launch New Scan. This release implements the ability to manually launch a SAM scan for a Windows server. For information about how to manually launch a scan, see Manually Launching Scans in the Halo Operations Guide. "Server Account Scan Requested" (API name = server_account_scan_requested). Generated when a Halo user requests a manual server account scan. Existing audit events have been extended to support alerting on new or deleted Windows user accounts. The events "Server account created" and "Server account deleted" have been changed to "Local account created (API name = local_account_created) and "Local account deleted (API name = local_account_deleted). 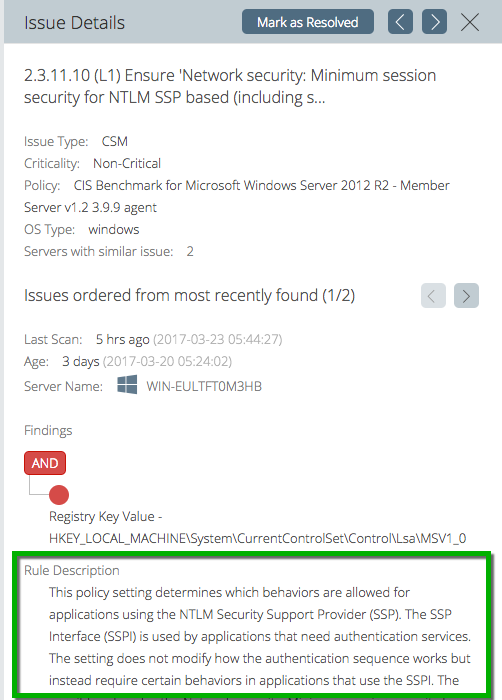 You can now view the CSM rule description, if one exists, when researching CSM scan details or issue details. Several improvements were made to the CSM Check Details sidebar to provide users with more information when researching a CSM check. Improvements include visual adjustments to make the content more clear, several new attributes, as well as the ability to view the files that pertain to file-related CSM checks (example below). Previously, the presence of certain misplaced characters in configuration policy rule names could cause the generation of invalid issues that could not be deleted. Halo now validates all rule names as they are saved, preventing the issue from recurring. Version numbers are 4.0.0 for Linux and 4.0.0 for Windows. See the Halo Agent Release Notes for details. able to register with Halo as new agents. Existing agents older than 3.4.3 will continue to connect, but should be upgraded as soon as possible. This release enables users to view the transaction log between the agent and the portal. You can do so using a new server-level Details view. Open the server-level view of the server on which the agent is installed. Click the Details view button. The Agent Logs view opens. Functionality has been added to the Servers API endpoint to support retrieval of a server's transaction log between the agent and the portal. Two new Server Account Management-related endpoints have been added to the Halo API—Local User Accounts and Local User Groups. 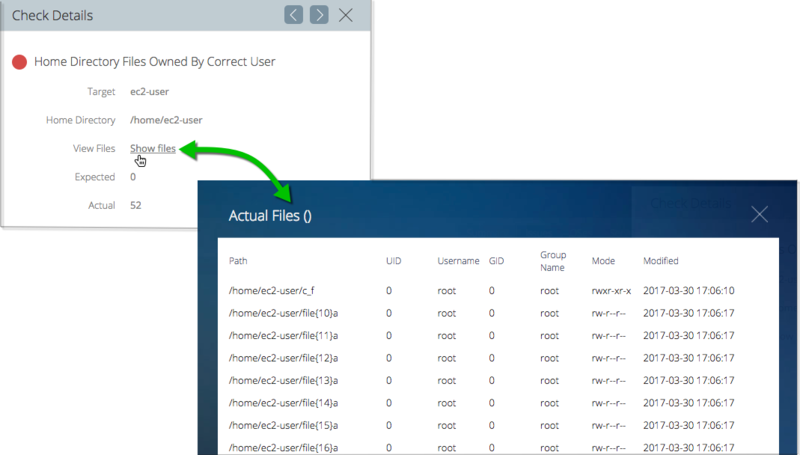 Local User Accounts lists all Linux and Windows local accounts defined on all servers in all server groups in a Halo customer account. Local User Groups lists all Linux and Windows user-groups defined on all servers in all server groups of a customer account. The Local User Accounts endpoint works in conjunction with the existing Server Accounts endpoint to provide account functionality such as retrieval of group-level or server-level user accounts, as well as account creation and management. 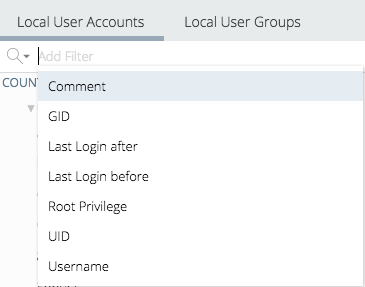 Both the Local User Accounts and Local User Groups endpoints support filtered searches. For further details, see Local User Accounts and Local User Groups in the Halo API Developer Guide. An API endpoint is now available for Halo customers to use to manipulate Halo issues (as seen on the Issues view of the Halo portal Environment screen). Issues are essentially persistent and cross-server security events that you can see in the portal and retrieve through the API for further analysis or for archiving. The new API endpoint lets you perform filtered searches for various kinds of issues, and it supports programmatic resolution of active issues. The "last login" information displayed for a user account now includes a timestamp that provides the exact date and time. The necessary API changes have been made to support PDF export of both Windows and Linux historical server account scans.